Let me go, for the day is breaking. You shall no longer be called Jacob, but Israel, for you have striven with God and with humans, and have prevailed. Why is it that you ask my name? For I have seen God face to face, and yet my life is preserved. The sun rose upon him as he passed Penuel, limping because of his hip. from those who rise up against me. The call of God transformed a schemer named Jacob into a the patriarch Israel. That mandate was to be a light to the nations, and it applied to the Israelite people as a whole. (It still does.) To be set aside as chosen is to receive a great responsibility. This is a matter of duty, not prestige. That duty is to bring diverse peoples to God. Read Matthew 13, which contains parables of inclusion. The mustard plant was inclusive in so far as animals of various species took shelter within it. This mustard plant was an allegory for the Kingdom of God. And, when we turn to the wheat field infected with tares and the net full of good and bad fish, we read that God will sort out the good and the bad, the wheat and the weeds, later. We read also in Matthew 13 that the Kingdom of God is precious, worthy of single-minded devotion. Consider the brief parables of the pearl and the treasure. So here we are in Matthew 14, following those parables and the execution of John the Baptist. He drew people to God. 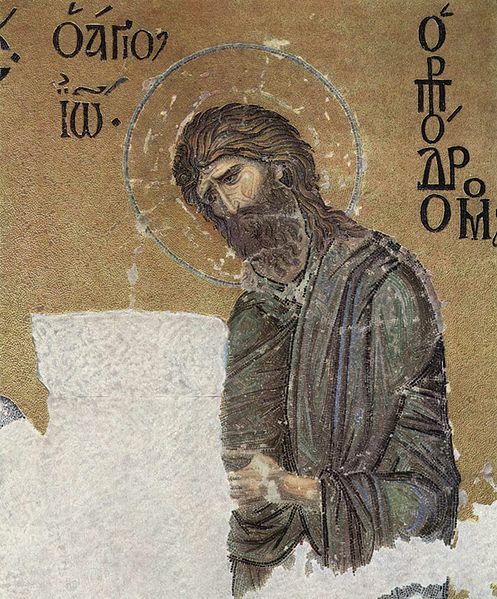 But lest we oversimplify, and say that we must always be nice, consider the examples of Jesus and John the Baptist. They used harsh words when appropriate, and they contributed greatly to these holy men going to their deaths. Read the prophets, also. Was Jeremiah habitually polite and respectable? No, of course not. All these men suffered because of the ways they brought people to God. Even being nice scared people and put Jesus at risk. Few actions are nicer than feeding people. But this and other miracles scared certain individuals who had the power to execute Jesus or to arrange such a death. So being a light to the nations is a perilous vocation. But it is God’s call. It is the way to life, even if death is a stop along the way. Countless saints, many of them martyrs, continue to teach this lesson by the example of their lives, even many years after their earthly journeys ended. And contemporary martyrs and other saints do the same. Potentates who persecute think that they can eradicate a message they fear. But, time after time, history proves that the blood of the martyrs waters the church. Persecution usually has the effect of increasing the brightness of the light the persecutors seek to extinguish. These persecutors do not learn quickly or at all, do they? And so the Kingdom of God continues unabated, much like the mustard plant Jesus used as a parable illustration. Let me go; for the dawn is breaking. 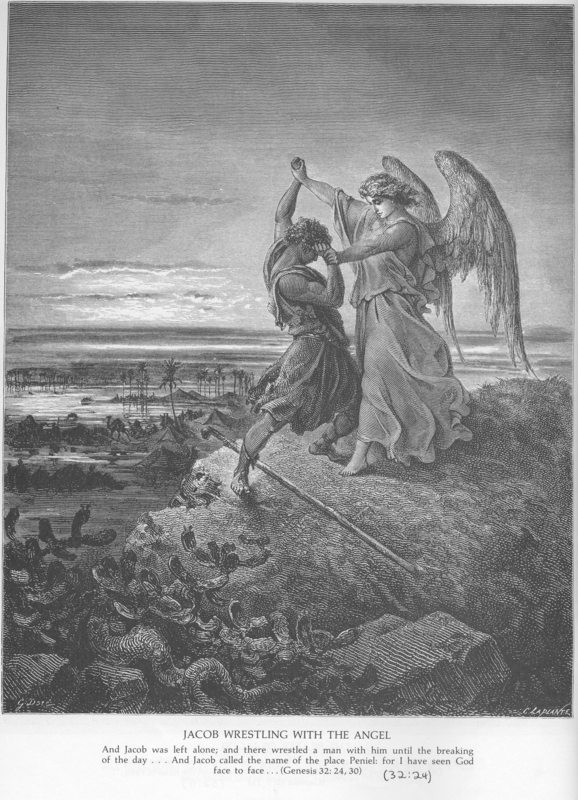 Your name will no longer be Jacob, but Israel [wrestler with God], because you have wrestled with God and man, and have been the victor. Why is it that you ask for my name? Nevertheless he blessed him there. I have seen God face to face, and yet my life has been spared. The sun rose on him just as he passed Penuel, limping because of his thigh. That is why to this day the Israelites do not eat the hip muscle which is on the socket of the thigh; for the socket of Jacob’s thigh was touched on the hip muscle. Nothing like this was ever seen in Israel! It is by the prince of demons that he drives them out. Jesus went round among all the towns and villages, teaching in their synagogues, and proclaiming the good news of the kingdom, and curing every disease and illness. The harvest is abundant enough, but the reapers are few. So pray to the owner of the harvest to send reapers to gather it. Jacob, literally the “supplanter,” was on his way to meet with Esau, his estranged brother. Jacob had spent the previous three chapters and over 14 years in the shadow of Laban, his father-in-law, who had tricked him and whom he had manipulated. With that dispute settled, there was older unfinished business to settle. Jacob did not know what Esau’s mood would be. So, one night, Jacob faced God in the flesh. 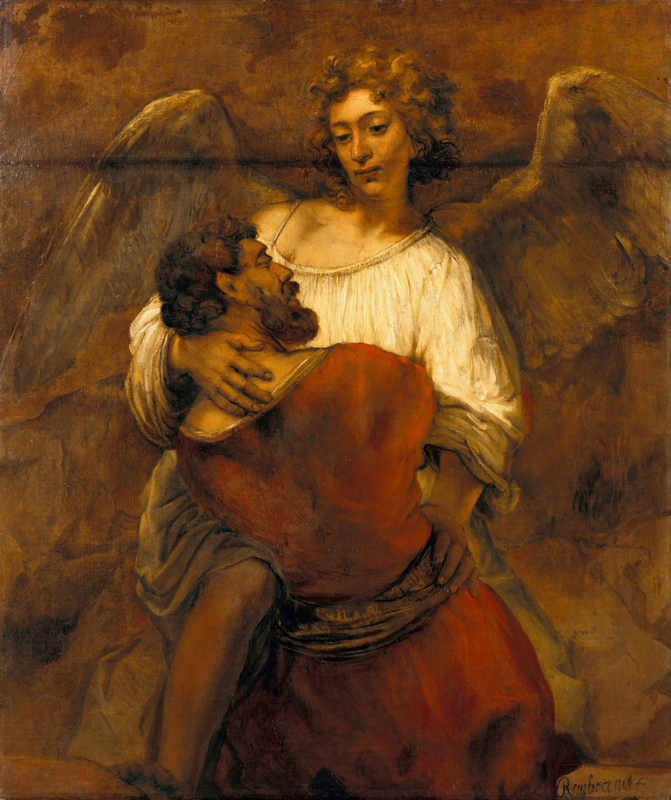 Sometimes certain Hebrew texts use “God” and “angel” interchangeably, but the meaning in Genesis 32:22-32 is that Jacob wrestled with God incarnate. He held on and persisted through the night and received a new name, Israel (meaning “wrestler with God,” “contender with God,” “God rules,” et cetera), and a limp, but he survived mostly intact. Jacob was a changed man in more than one way. We ought to take comfort in such stories. Jacob, despite his flaws, was a chosen instrument of God. Note also that God instigated the wrestling match. Submission to God is the chief moral virtue in Islam. Yet one of the pivotal stories in the Hebrew Bible is one of a man and God wrestling, with God starting the match. Struggling and arguing with God is a key element in multiple Hebrew Bible stories; consider Job, for example. He argued with God until God answered. Whoever coined the cliche “the patience of Job” did not understand that book well. And, although our flaws might not be as dramatic as those of Jacob, our imperfections do have consequences for ourselves and others. Yet God can work through us, too. I posit that a vital detail in the account from Genesis is that Jacob grasped God and refused to let go. The man who struggled with God did so while grasping God; there was a relationship with the deity. I contrast this with the response of Pharisees to Jesus’ healing of a mute man. Demon possession was a common diagnosis for muteness, epilepsy, and many other conditions, so who knows what caused the man’s inability to speak? But, whatever it was, Jesus cured it. And some tradition-moribund religious people chose not to wrestle (metaphorically) with this incarnation of God. If they had, they might have discovered answers and changed their lives and those of others. After reading and studying the Bible for most years of my life, and after years of attempts (of varying degrees of effort and success) of faithful living, I have learned many lessons. Among them is this: God is frequently surprising. God does not fit into our artificial theological boxes. We never have God figured out. Yes, we can understand partially, but that is as far as we can go. So, as useful as traditions can be, a spiritual wrestling match now and then can prove much more helpful. By the way, Jacob and Esau reconciled then parted company; Jacob’s fears proved false. And Jacob became the father of the men whose names continue as Hebrew tribes. There is no tribe of Joseph, but two tribes carry the names of his sons, Ephraim and Manasseh. And there was no tribal land allotment to the Levites.